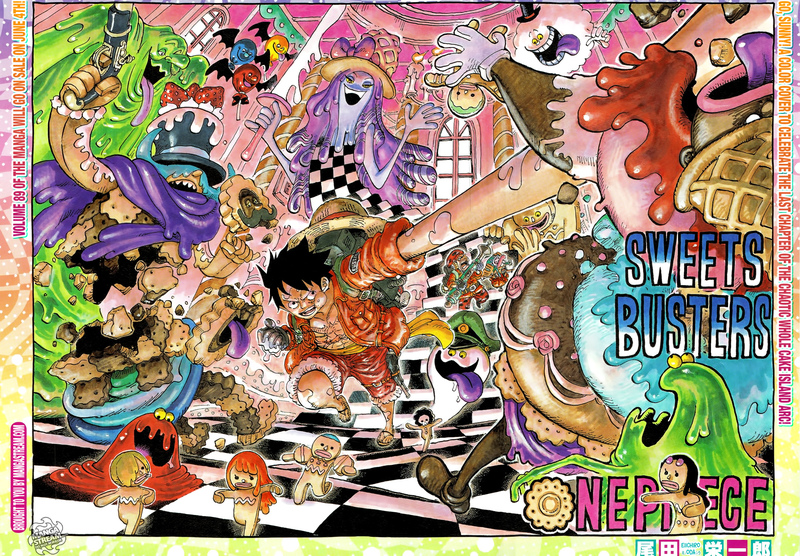 One Piece Chapter 903: Is Luffy now the fifth emperor? The 903rd chapter of One Piece, “The Fifth Emperor” focuses on the aftermath of the Strawhat’s battle with the Big Mom pirates. One Piece is one of if not the best action anime/manga out there and it’s often a pleasure to read those chapters. However, Oda does excel at telling a story that effective builds the One Piece universe, reminding the readers what’s at stake and how large the world actually is. After a major arc many pirates receive different amounts in what’s called a bounty. For those who may not know, a “bounty is issued by a government official or by the Marines.” It’s amount is determined by the strength or the danger level the pirate presents. Most pirates actually like bounties as it’s potentially high amount is a symbol of their strength to the world. The bounty is a tangible symbol of the stories progression. For example in the beginning of the series Luffy was excited to receive his first bounty, which after defeating several top pirates in East Blue was 30 million berry. Watching his bounty and his crew-mates bounties increase represented their grow both in strength and experience. In this chapter Sanji’s bounty increases to 330 million berry, he’s joyful because it has surpassed Zoro’s 320 million berry bounty. However, he’s not so happy that his bounty seemed to increase due to his familial connections. 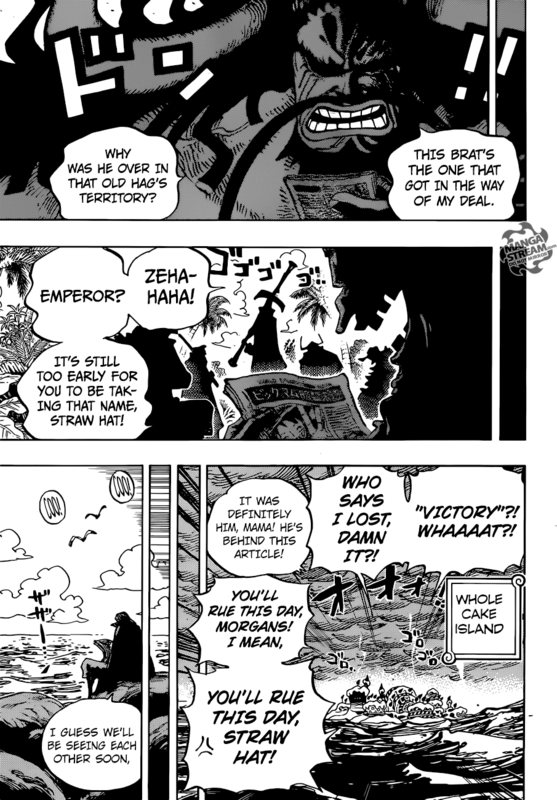 Another tool that Oda uses to expand the world and basically recap the recently ended arc is the newspapers. 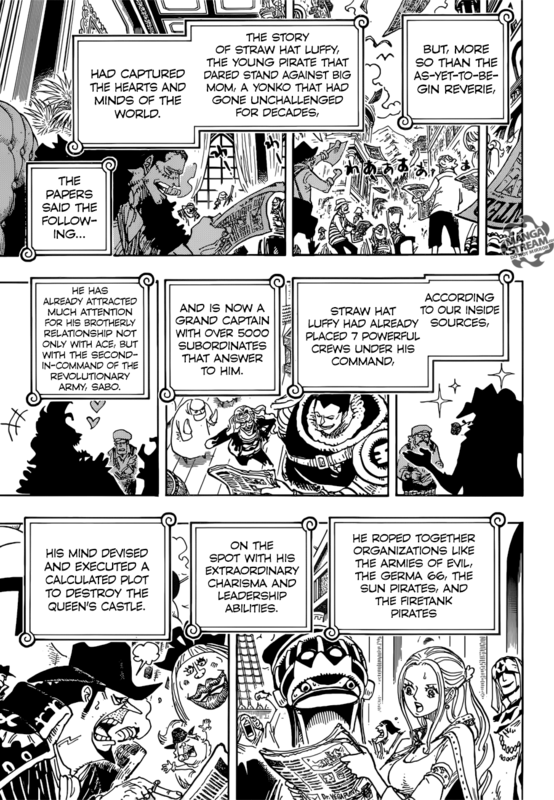 This chapter shows several major characters reading about the exploits of the Strawhat pirates, one of the first news items the paper reveals to the masses is that Luffy now “commands” a fleet of 5000 subordinates, called the “Straw Hat Grand Fleet.” This fleet is formed by seven organizations that have pledge to serve under Luffy. The fleet’s membership includes, seven divisions, the Beautiful Pirates are First Division and are commanded by Cavendish. The Second Division is led by Bartolomeo and features his Barto Club, the Third Division features the pirate crew, the Happo Navy, the Fourth Division, the Ideo Pirates lead by Ideo, the Fifth Division is headed by the Tontatta Tribe, and their armed forces the Tonta Corps. The New Giant Warrior Pirates are a five member pirate crew that make up the Sixth Division, lead by Hajrudin. Finally, the Yonta Maria Grand Fleet that features 56 ships, they’re the Seventh Division. We see that Dalton, Dr. Kureha, Crocodile, Cavendish, Bartolomeo, the Firetank Pirates, Blackbeard, Van Augur, Doc Q, Avalo Pizarro and Princess Vivi. We get to see Koby and Helmeppo as they save the Riku family. I’ve been excited to see the progression of these two, the series obviously focuses on pirates not marines and only in conflict do we get a since of their strength. 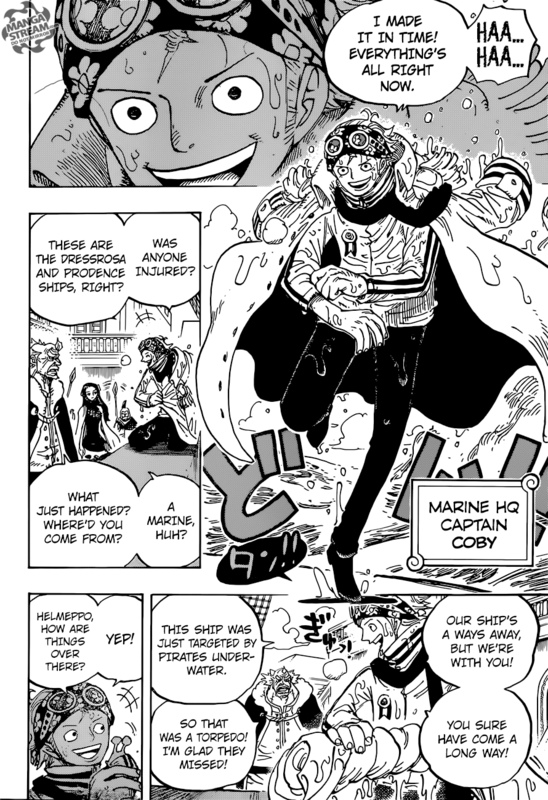 Helmeppo now possesses Kenbunshoku Haki, and Koby is strong enough to deflect torpedo’s underwater, he’s now a Captain. The series now heads into the “Reverie Arc,” the 13th story arc of the series and will focus on the royalty gathering for Reverie. 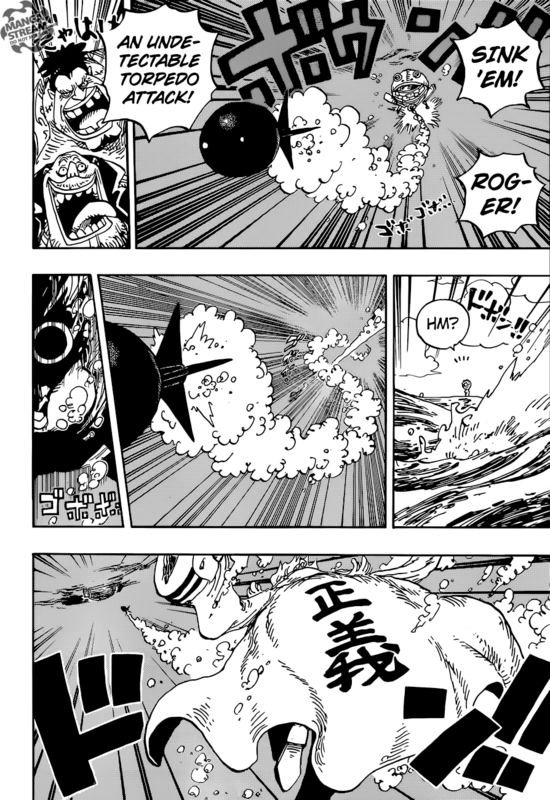 This chapter revealed so much and I would recommend reading it, some highlights included Sanji receiving a Raid Suit, Zeus abandoned Big Mom for Nami, Kaido is angered at Luffy for ruining his operations, Big Mom is angry that Morgan (the newspaper writer) suggested that Luffy had defeated her. The World Economic Journal calls Luffy the fifth Emperor, placing him in the league with the Yonko, Shanks, Big Mom, Kaido and Blackbeard. 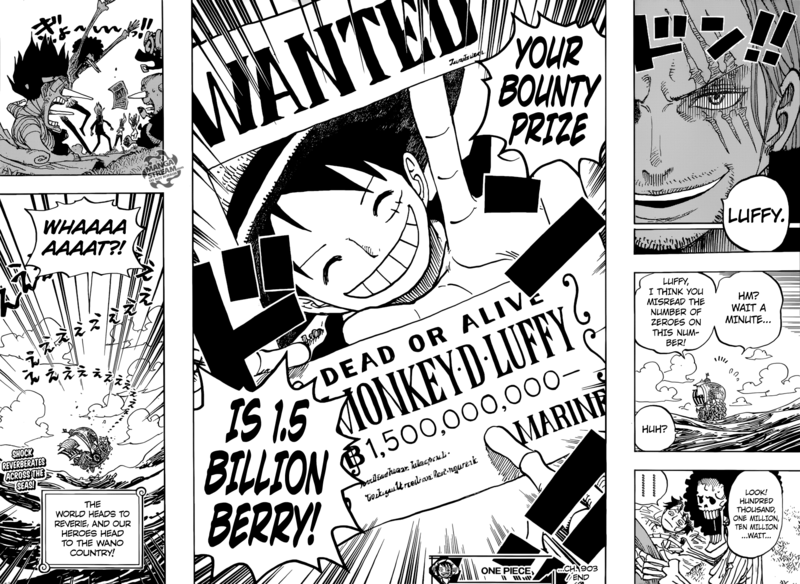 Brook reveals that he made an error in reporting Luffy’s bounty earlier, and that it’s actual 1.5 Billion berry bounty, the largest known so far in the series. It’s been amazing to watch him grow in this series. I’m surprise his bounty is higher than the Yonko thought. However, it probably should be higher considering the fact that the government covered up his defeat of Gekko Moriah. Lol. To think that Blackbeard has an even higher bounty at 2.2 Billion Beris. I was shocked as well.